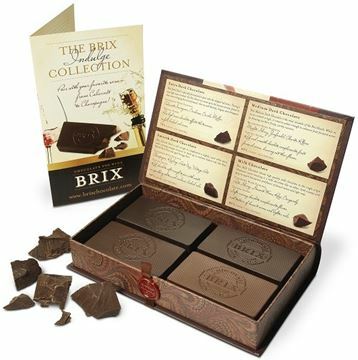 Brix Chocolates are specifically formulated to complement wine. Available in 4 different flavours, based on the best cocoa from Ghana each flavour brings forward the fruity and earthy nuances of the wine it complements. Enjoy all four Brix flavours in this exquisite choices. 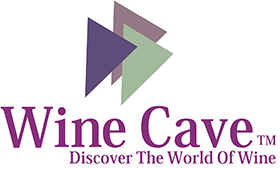 Move over cheese...Wine has found a new love! This set comes in a gorgeous "book" containing milk, smooth dark, medium dark, and extra dark 4oz. bars. The box is closed with a Brix Chocolate for Wine wax stamp. Brix chocolate is specially formulated to complement wine. Brix Bites is an assorted pack with 24 7g pieces in individual size servings. Each pack includes 10 extra dark, 10 medium dark and 4 milk chocolate Brix Bites.